Welcome to the Boulin Lab! Today on #RareDiseaseDay we submit our 1st application to the NIH's Undiagnosed Diseases Network "Gene Function Studies" call. It flows directly from ERC-funded blue-sky research. We hope that it will get funded so we can demonstrate (once more...) how basic non-applied "worm research" leads directly to Rare Disease model systems! Great collaboration between our group, IPMC Nice's Delphine Bichet and Florian Lesage and Dawon Kang at Gyeongsang National University. Editor's Summary: "Mutations that modulate the activity of ion channels are essential tools to understand the biophysical determinants that control their gating. 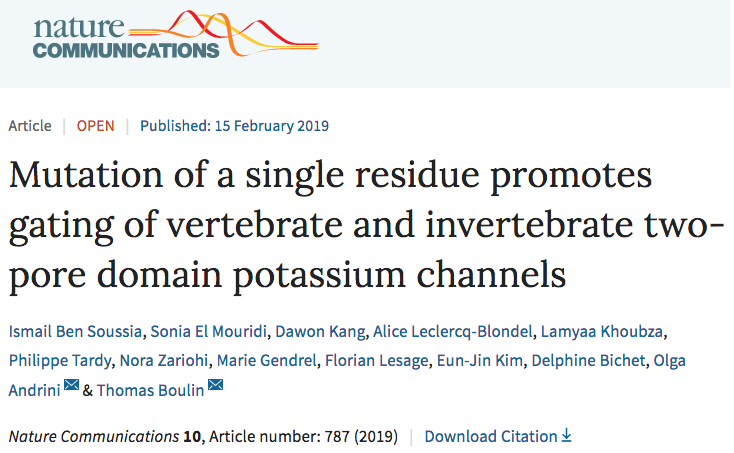 Here authors reveal the role played by a single residue in the second transmembrane domain of vertebrate and invertebrate two-pore domain potassium channels." Indeed, we found that “Mutation of a single residue promotes gating of vertebrate and invertebrate two-pore domain potassium channels”. We named this position TM2.6. It got better, when we saw that we could tune the effect of these gain-of-function mutants by using different amino acid substitutions. Using CRISPR/Cas9 gene editing, we then created designer gain-of-function mutants in 4 C. elegans K2P channels (and many more since…), which phenocopy those found by Sydney Brenner and Bob Horvitz. This works consistely despite very divergent primary amino acid sequences. Altoghether, this has been a crucial finding for us because, we were looking for a way to increase the activity of K2P channels in worms to find the genes that are required for their function in vivo. And it has opened the way to a (frustratingly) large universe of new projects. Using genetic screens, we have now drawn lines between K2P channels and major cellular players such as Ankyrin, Notch, and most recently, the Dystrophin complex! More about that in the coming year. Let us know if you have comments, questions, are interested in reagents or collaborations, or just want to chat about our work. All moving boxes are gone. Science going on. After a rocky move across town featuring: snow, ice, rain, city-wide power outage, failing elevators, missing keys, we are (almost) all setup and operational in our brand spanking new lab space. 14 teams and 200 people finally under/on one roof/floor! Now, let's do some science. What a shock when you turn on the microscope and see such a striking subcellular localisation at the tip of every muscle cell. Figuring out how this is possible is going to be an amazing journey. 144 Labs and counting! wrmScarlet is freely available for all labs who want it. Visit the following page for the page dedicated to this paper. To efficiently and freely distribute the wrmScarlet sequence to the community, we have decided to list here all the labs that we have sent the sequence to. Please contact us or anyone on the list to get your copy of the plasmid. And to top it off, Sonia wins the Dr. Matthew J. Buechner Tie Award for service to the community! 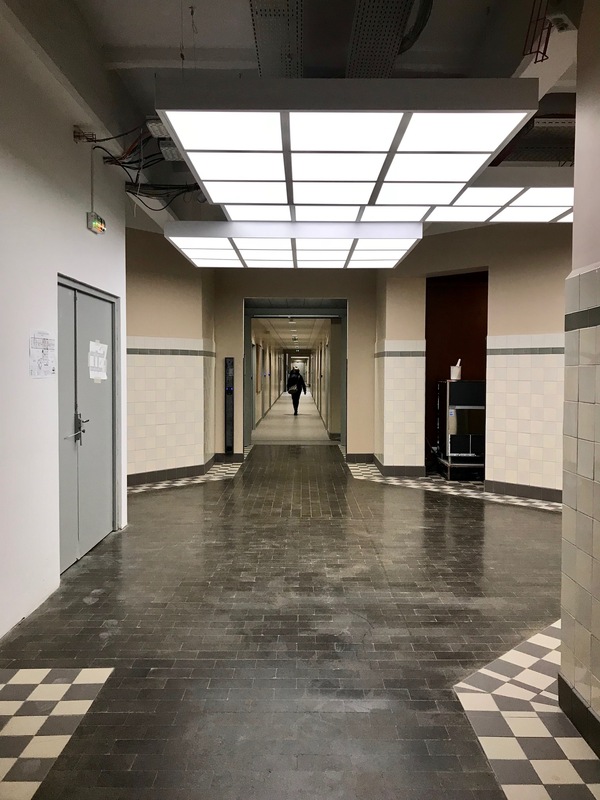 We are now part of the Institut NeuroMyoGène. The INMG is a novel institute dedicated to the study of the nervous and muscular systems. 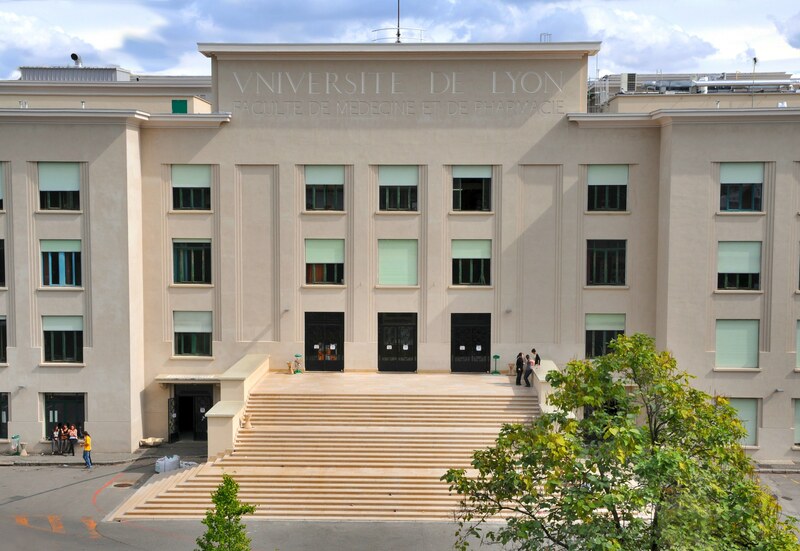 It was created in 2016 in Lyon at the heart of a dense hospital network and of one of the biggest medical universities in France. Our paper has just been accepted at G3: GENES, GENOMES, GENETICS! 27 days from submission to acceptance! Congratulations to the whole team! It was a great collective effort. Final manuscript published in G3: GENES, GENOMES, GENETICS! We want to understand how cellular physiology is controled by basic molecular and cellular pathways regulating the biology of potassium-selective ion channels. 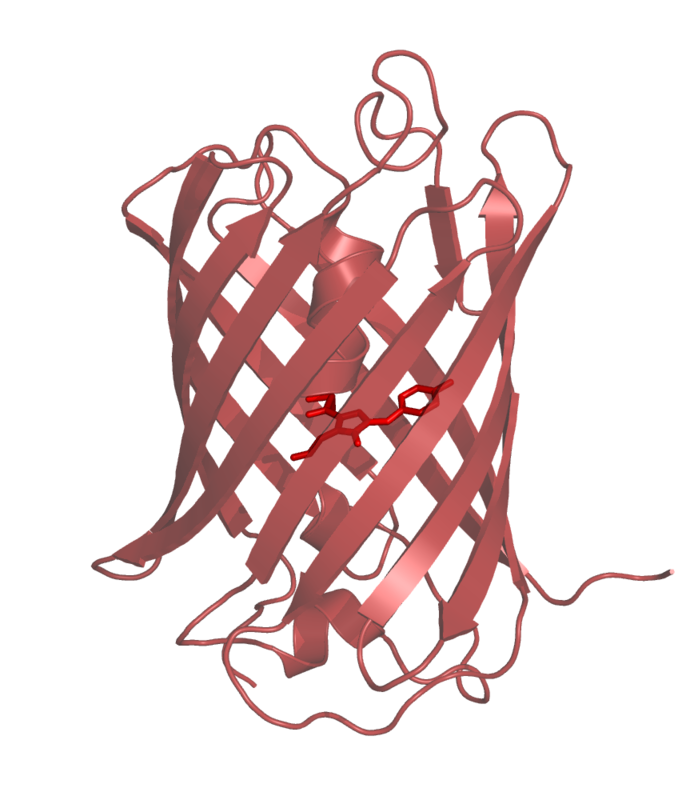 Two-pore domain potassium channels (K2P) play a central role in the control of cellular excitability and the regulation of the cell's electrical membrane potential. K2Ps have been widely conserved throughout evolution. They are polymodal ion channels that are subjected to extensive regulation by a diverse set of physical (pH, temperature, mechanical force) and biological signals (lipids, G-protein coupled receptor pathways). They are broadly expressed in excitable and non-excitable cells, and have in turn been implicated in a large spectrum of physiopathological processes, ranging from the regulation of neuronal excitability, respiratory and cardiac function to the control of cell volume, hormone secretion and cell proliferation. 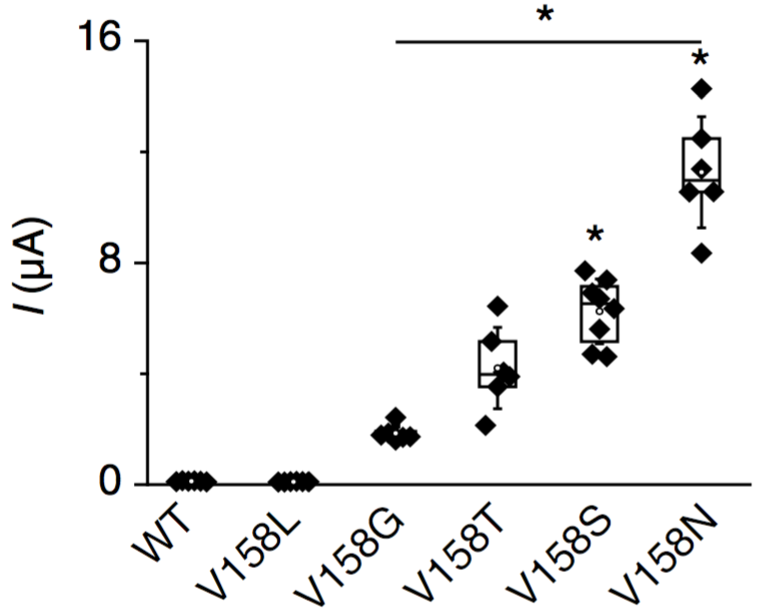 Recently, loss- and gain-of-function mutations in K2P channels have been directly linked to human pathologies (Birk Barel syndrome, familial migraine with aura, cardiac conduction disorder). 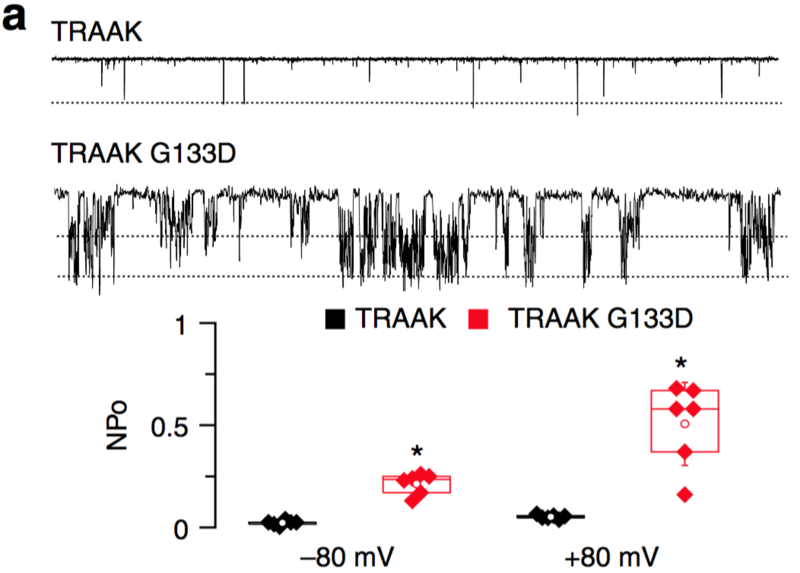 In contrast to many other ion channel families, comparatively little is known about the molecular and cellular processes that regulate different aspects of the cell biology of K2P channels. 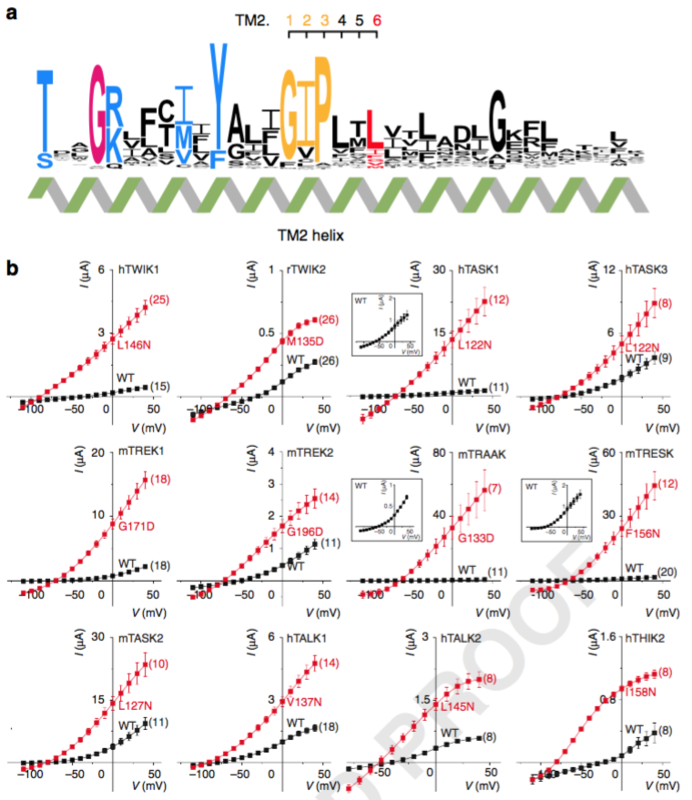 For instance we know only of very few factors that specifically regulate the expression, the activity and the localisation of K2P channels at the cell surface. Therefore the central question addressed by our team is: How is the number of active potassium leak channels present at the cell surface controlled in vivo? To identify novel genes and conserved cellular processes that regulate the biology of K2P channels in vivo we take advantage of the powerful genetic tools available in the model nematode Caenorhabditis elegans. We use the full array of techniques available in C. elegans including genetics, live imaging, electrophysiology and state-of-the-art CRISPR/Cas9 genome engineering and next-generation DNA sequencing. These studies will provide new leads to understand the cellular pathways that control K2P function in other organisms. "La Médaille de bronze récompense le premier travail d'un chercheur, qui fait de lui un spécialiste de talent dans son domaine. Cette récompense représente un encouragement du CNRS à poursuivre des recherches bien engagées et déjà fécondes." We are always looking for highly motivated Post-docs, Masters and PhD students to participate in our ERC Starting Grant-funded projects. Please consult this page before applying. We endeavor to understand how basic molecular and cellular pathways regulating the biology of potassium-selective ion channels control cellular physiology. A generally up-to-date list of our publications and meeting abstracts. An ever growing list of papers that stand out. References to tools that might be of interest. Welcome to Lyon. The capital of the Gauls (Lugdunum) is famous for its gastronomy and architecture. Thomas is talking at the "CRISPR: New Techniques and Best Practices" workshop. 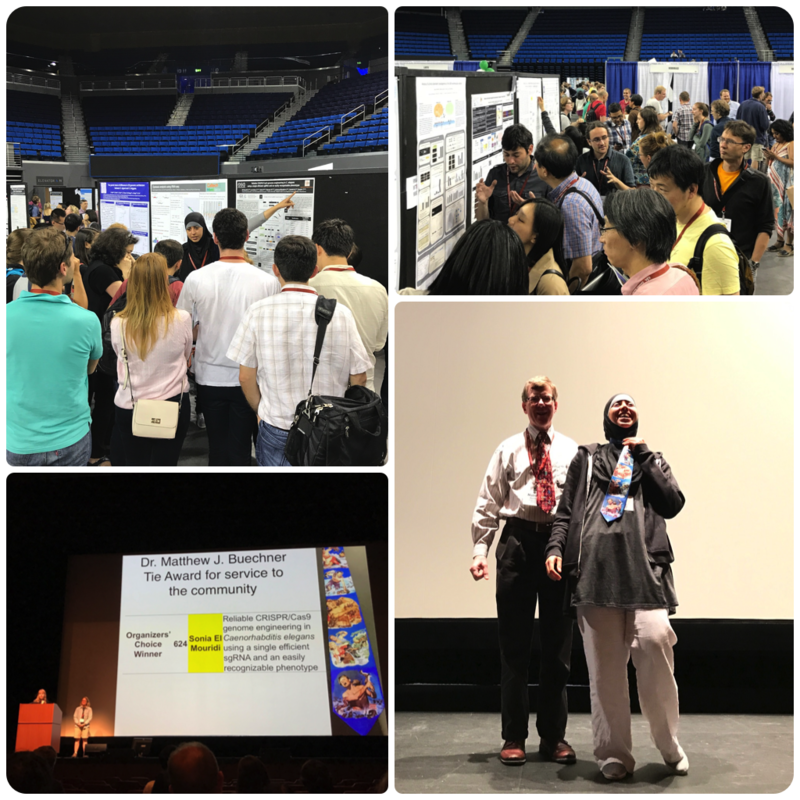 Philippe will present his poster 983A on Thrusday 22nd ; Sonia will present her poster 624B on Friday 23rd. Marie will work with Nora on our new super secret project. Our first story is published in G3! Great collective achievement. Nora will work a novel visual screen for regulators of K2Ps. Ismail will join our Xenopus projects. See all past events here.